* First, Ensouling Language, which I wrote about here, is finally available. I'm already in the mood to read it again, which doesn't happen very often. If you have any interest in writing, it's worth your time and your $24.95. 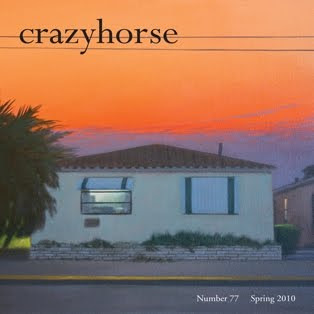 * A story I wrote several years ago called The Gates, based on a long trip I took to Madagascar, has just appeared in Crazyhorse. I didn't know this when I submitted the story, but it turns out that Crazyhorse was founded by Thomas McGrath, a poet I like a lot. So I'm doubly glad to be part of it. Hopefully worth your $9 (I did my best). * Also, Powell's picked up the Avvaiyar review published in Cerise Press for their Review-a-Day, which makes me happy. I hope it sells some copies of the book.